Hellmann’s wanted to show consumers that its mayonnaise could be more than a condiment; it could be a key ingredient in many delicious family recipes. 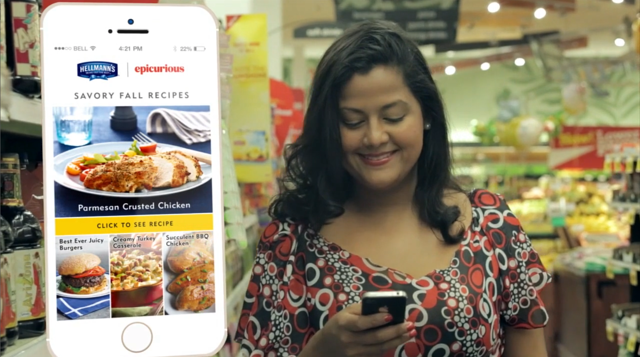 In order to increase perception about the versatility of its product, the brand leveraged inMarket to deliver recipes at the moments when shoppers were making decisions about what to have for dinner. The Hellman's campaign brought home Silver in the MMA Smarties Awards for the location based advertising category. You can learn more about the campaign and the entry here.